When I started WhatsInMyBelly.com, it was all in good fun. I just wanted a well-designed website to start a baby pool. This website was started after my wife and I already had one child, and that pregnancy went really well – nothing out of the ordinary – and my wife and son were perfectly happy and healthy afterwards. We were so thankful. A big part of that thankfulness was caused by a scare shortly before we were even married. I remember Ashley’s phone call after a doctor’s appointment. I could tell she was already in tears, and could barely get out the words “You don’t have to marry me… I may not be able to have kids.” After assuring her that fertility would have zero effect on our plans, she went on to tell me that her doctor thought that she had mild to serious Endometriosis, and the doctor recommended that if she wanted to have kids she should start working on that sooner rather than later. Long story short, Ashley ended up having very mild endometriosis and today we have two healthy children. I wouldn’t say I was obsessed, and I never even mentioned any of these thoughts to my wife or anyone else. But, I think these are thoughts that pass through everyone’s mind when they’re expecting. I tend to be a very positive person, but the sad fact is, my worries were not unjustified. In fact, The National Center for Health Statistic’s (NCHS) National Survey of Family Growth estimates that there are more than 1 million fetal losses per year in the United States, with the majority of those occurring during the first 20 weeks of pregnancy (source documents here). That’s basically the long way of saying what we all know: complications and infant loss of various kinds during pregnancy is relatively common. If you want to know more facts, check out American Pregnancy Association’s Statistics page. I know. This isn’t a fun topic to post on a blog for a pregnancy game. But, I personally feel like everyone is way too “hush-hush” about this topic. I’m not sure why this is. Maybe it’s because some people debate the level of tragedy. Some people experience a loss early on in pregnancy and don’t think much about it. Some are traumatized for life. Regardless of our emotional reaction, I doubt anyone ever forgets the experience. For this reason, Daniel and I thought it would only be appropriate to use the tiny spotlight of this blog to acknowledge Pregnancy & Infant Loss Remembrance Day – October 15. Ok, I know what you’re thinking. I’d never even heard of this day until just a week ago myself. But, on October 25, 1988, President Ronald Reagan designated the month of October 1988 as Pregnancy and Infant Loss Awareness Month. 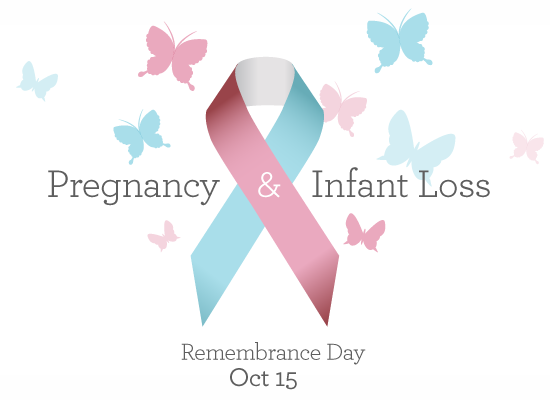 14 years later in 2002, The October 15th Pregnancy and Infant Loss Remembrance Day (PAILRD) Campaign began as a movement started by Robyn Bear, Lisa Brown, and Tammy Novak. Together, they petitioned the federal government, as well as the governors of each of the 50 states, and by October 15, 2002, 20 states had signed proclamations recognizing the date as such. Today, all 50 American states have yearly proclamations. Check out October15th.com for the Official website recognizing this Day. On October 15, Robyn Bear, and the ladies behind Infant Loss Remembrance Day, invite the world to light a candle at 7PM in all time zones. 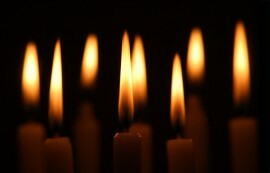 Keep it burning for 1 hour and together there will be a continuous wave of light over the entire world. Even if you don’t light a candle, or update your status, I hope this day starts to open up the conversation about how common infant loss is, and hopefully these conversations can make those who experience it feel a little less alone. I invite anyone who wants to share their story to leave it in the comments below.